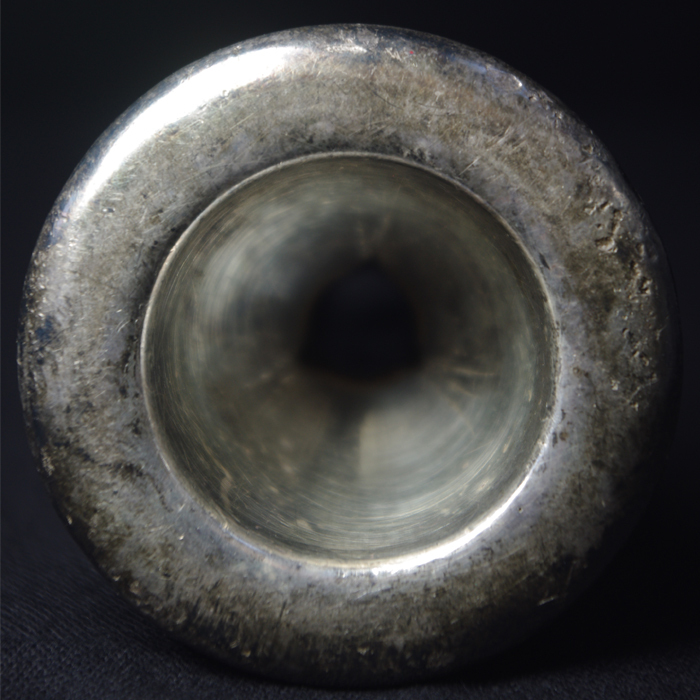 I’m not really sure that this is a G Trombone mouth piece, but it fits my G the best, so, there you go. 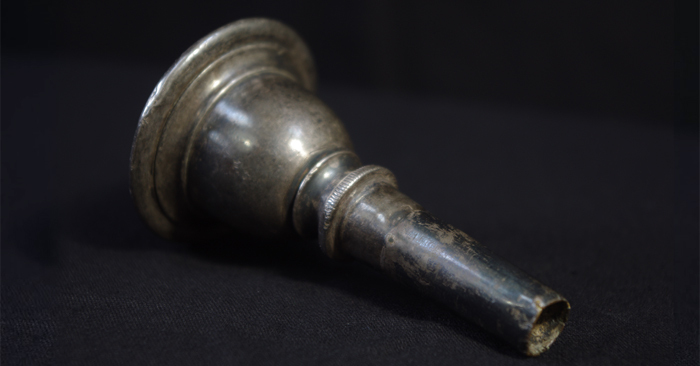 This well used mouthpiece could be almost a hundred years old… or even older. It has a very wide rim, but it is insanely narrow on the edge. Many of the mouthpieces I’ve featured here have had plier mark damage from pliers being used to remove stuck mouthpieces. This one has a lovely knurled ring to negate the need for pliers. Given the damage to this mouthpiece, I’d say that the pliers were still needed. 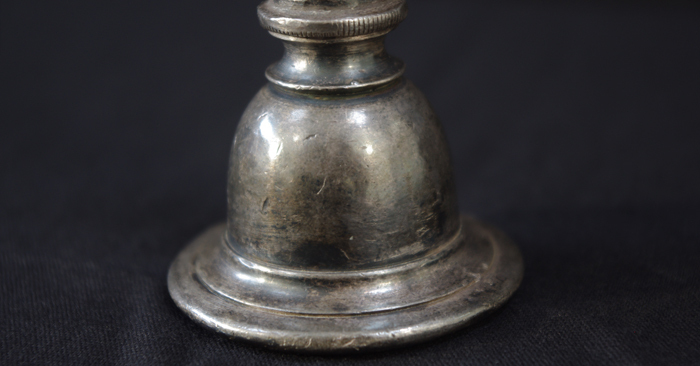 Another interesting mark on this mouthpiece is the three marks running at the base of the cup. I have no idea what caused this, but this is still one of the loveliest and most unique mouthpieces in my collection.